A pediatric ophthalmologist is a medical doctor, trained in the specialty of ophthalmology and in a subspecialty of pediatric ophthalmology and strabismus. Many pediatric ophthalmologists restrict their practice to children or adults with related problems and thus are particularly qualified to treat pediatric vision problems. Ophthalmologists are medical doctors (EyeMD’s) who have had four years of medical school, at least one year of internship training in a hospital, and at least three years of residency training in ophthalmology. They are equipped to provide total eye care. They examine for and fit eyeglasses, prescribe oral, intravenous, and topical medications, and perform types of laser and incisional eye surgery. Pediatric ophthalmologists have chosen to specialize in eye disorders unique to infants, children and adolescents, including inherited eye diseases, amblyopia (lazy eye), strabismus (crossed or wandering eyes), and refractive errors (nearsightedness, farsightedness, and astigmatism. Subspecialty training in pediatric ophthalmology requires at least one year of fellowship training. Children’s eyes and vision are still developing after birth, so many of the diseases that affect their eyes can have a life-long impact if untreated. Pediatric ophthalmology evolved over the past 30 years in response to the exponential growth of information about children’s eye problems and advances in surgical and non-surgical techniques to address those problems. In addition, pediatric ophthalmologists learn during their training how to examine a frightened or uncooperative child in a manner which is non-threatening, but which is effective in obtaining the most information regarding the child’s vision. In this way, a more accurate and complete diagnosis and treatment plan can be achieved.  Therefore, a pediatric ophthalmologist is specifically trained to diagnose and treat children with eye and vision problems. Their training and expertise uniquely qualify them to protect a child’s visual future.